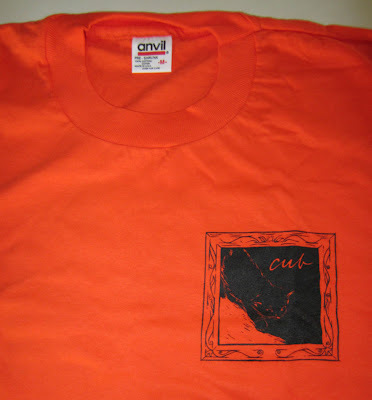 We have just discovered a secret stash of vintage tshirts for a number of our fine artists dating back to the early/mid-'90s. All are new, unworn originals from the day. Get 'em while you can! 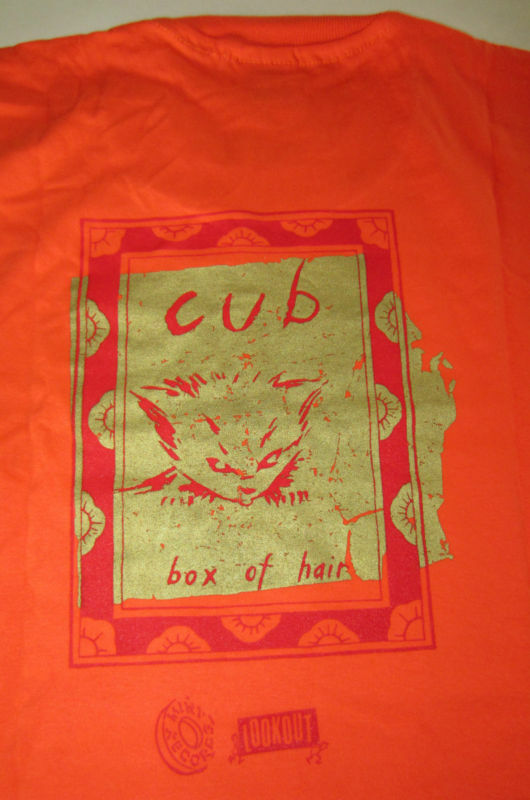 Let the rest of the world know it by donning this rare tshirt from the original cuddlecore queens, Vancouver's cub (psst, Neko Case was their tour drummer!). The shirt is bright orange with black print on the front chest and metallic gold and red print on the back. Artwork drawn by Chantale Doyle. This is the real deal -- a genuine cub shirt from the 1990's. Is this still a thing? Can I buy one of these?